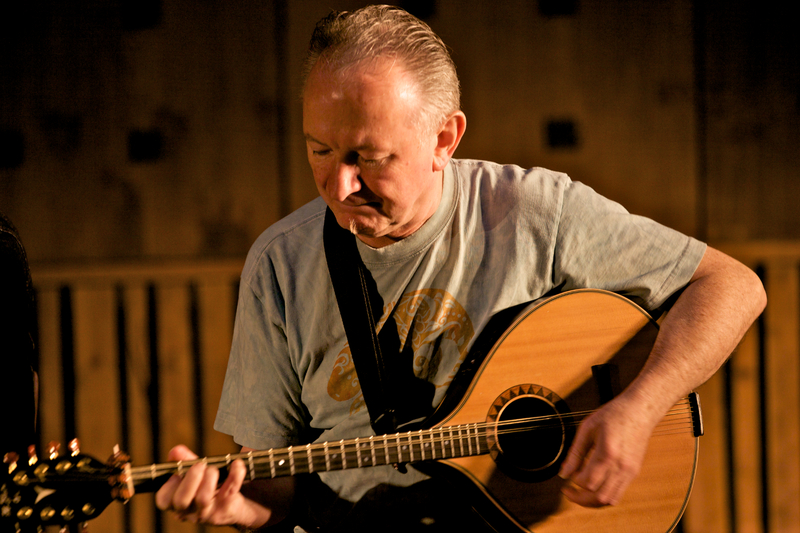 Dónal Lunny has been at the cutting edge of the evolution of Irish Music for thirty years and is generally regarded by musicians and those involved with music, to have been central to this movement. He was a member of seminal Irish bands, Moving Hearts, Planxty and the Bothy band. He has also written scores for several films including ‘This is My Father’, a major international production starring Aidan Quinn and James Caan. He has also composed music for theatre (notably The Abbey Theatre and Field Day) as well as TV dramas and documentaries for RTE, BBC and Channel 4. He is a sought after producer, producing albums for Kate Bush, Paul Brady, Elvis Costello, Mark Knopfler, Rod Stewart, Marxman, Zoe, Indigo Girls, Clannad, Loreena Mckennit, Gary Kemp, Maire Brennan, Sinead O’Connor and Baaba Maal. He was also commissioned to write, produce, perform and direct the music for the opening ceremony of golf’s Ryder C’up, held in Sept. 07.